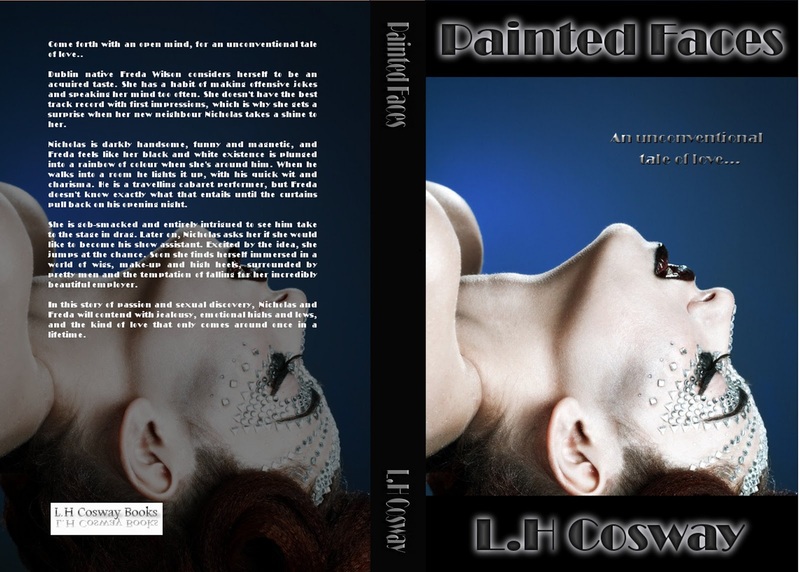 Today I'm releasing my first ever contemporary romance novel, Painted Faces. I'm nervous and excited and I really hope that the people who end up giving it a chance will enjoy it, because it really is my little precious baby right now. Anyway, I'm steeling myself and putting it out there. Hopefully you will love the characters like I love them. I'm publishing this book not only in ebook format this time around, but also in paperback (which will probably take another week or two to become available) Preparing a book for print publication is ten times more confusing than ebooks, but I'm getting there, I promise. Below is the paperback cover, if you care to give it a gander. If you'd like to be in with a chance of winning a paperback copy, I'm doing a giveaway on Goodreads, which you can enter here. So, what's it all about I hear you ask? Here's the synopsis to give you an idea. In essence, it's not your typical romance starring a gruff manly man, but it's not completely out there either. For anyone who's read my previous books, this one's a little more explicit. Ahem. But explicit in a normal sort of a way, rather than a makes-you-slightly-uncomfortable-and-ill sort of a way. I don't know why I feel the need to explain these things, I'm just quite bashful and I don't want people who are fans of my Florence books to suddenly get a shock, lol. I love how she used "Your Song" by Elton John as the music, as it features in the book. Reading it at the moment and enjoying it. Had me laughing when I read about Coppers. Lol! I take it you've been. Awful place. I will pretty much read anything you put out there, so I will definitely check it out!! Thanks Coral:-) I hope you like it! Is Nicholas still available for some classes about how to walk in high heels ? Haha I wish he was, I could do with some lessons myself!